Nice smooth hard candy texture. 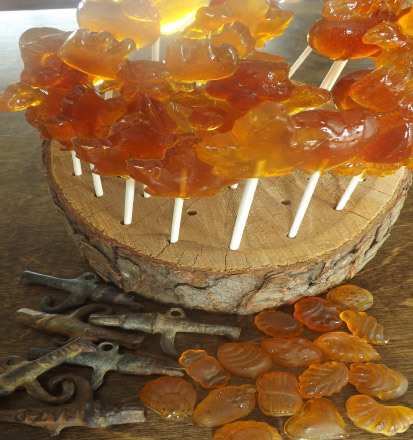 For those that like a little nibble here and there of a more sugary maple texture, our maple candies are great! They also make fantastic gifts or wedding favors, along with our maple lollipops and maple drop hard candies. We make our candies upon request to ensure freshness. Being a natural product, with no preservatives, they have a shorter shelf life.